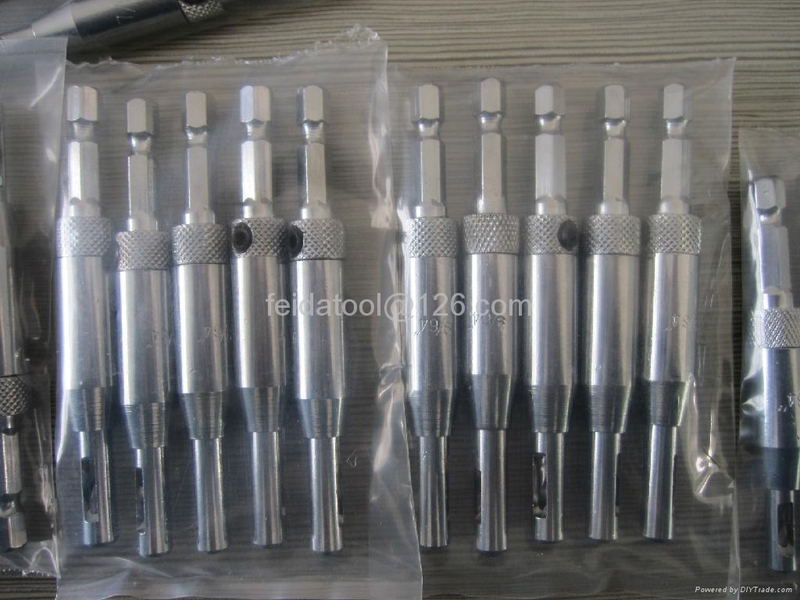 * Use Drill Bit Size: 5/64"
the bits ensures that the hole will be drilled absolutely in the center. 1) Secure the hardware temporarily in position. 2) Position the slightly rounded tip of the drill bit guide into the hole of the hardware. Notice how the rounded tip of the guide ensures that the bit is centered in the hole. through the hardware and into the material. adjusting the brill bit to the desired depth and then locking the set screw again.